We left the country for a few days. We were invited up to Vancouver: missing the election seemed like a bonus. Not only did we have a marvellous time but we got home to find that the American People had voted in ways that pleased us. And the sun was shining. Life is damn good. 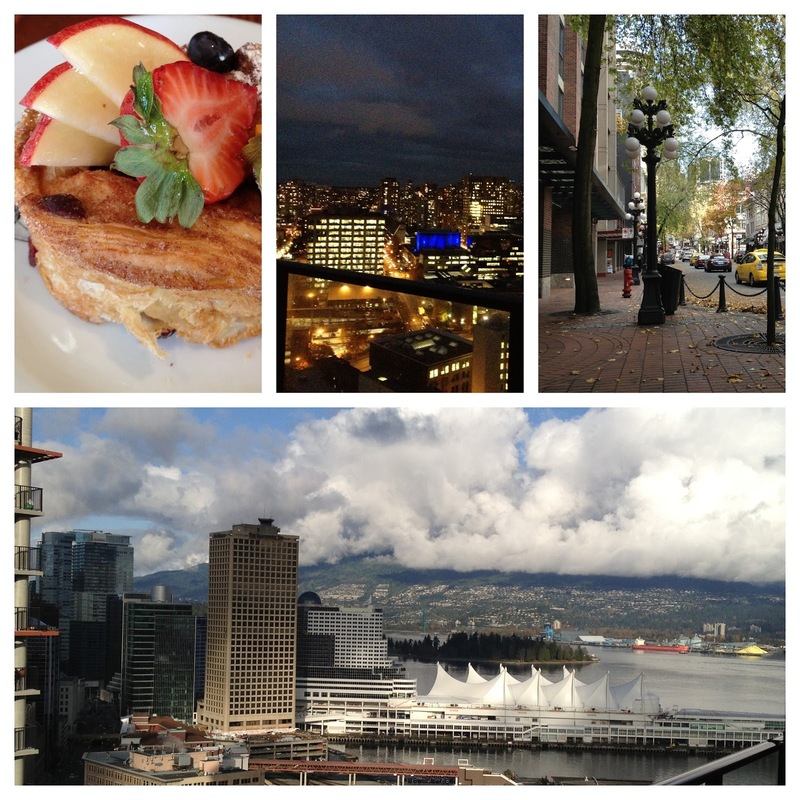 Three of these shots are of Gastown, two taken from the apartment where we stayed. Gastown reminds me of Pioneer Square and Belltown in Seattle. But…more. More cosmopolitan, more sharp, more busy, more interesting. More expensive. If I won the lottery I think I could spend a lot of time there. As it is, I suspect we’ll be going back sooner rather than later. The pastry was from Thomas Haas in Kitsilano: if you like a good patisserie, you should go. Thanks to all the people who made us so welcome. In a couple of days I’ll have more to say about some of that election stuff we avoided. For now, it was a delight to get away and it’s lovely to be back. Vancouver was pleased to have you visit and news-avoid!